Restored one-room schoolhouse for your event. 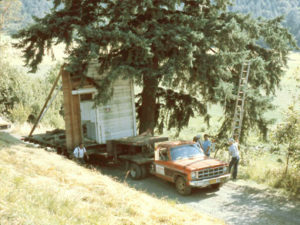 Since it’s move and restoration 1989, Tilikum has found many uses for the historic Valley View Schoolhouse. Each summer it becomes a nature and storytelling building for the 2,200 children and youth who attend Tilikum’s Summer Camp programs, and a site for meetings, seminars and training. During the summer church picnics gather on the school yard and all types of schools during the year have field trips to the one-room school. To inquire about reservations and rates, email Suzanne Maki/Guest Services Director, or call (503) 538-2763 ext. 101. 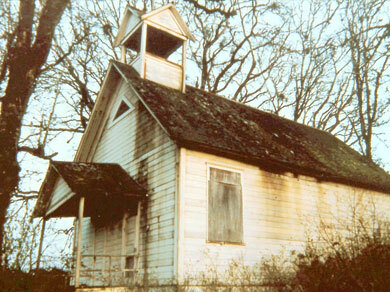 In 1909 Valley View School (district #61) opened its doors to children of the Chehalem Valley. For 37 years, children of all ages learned together in the one-room building on the corner of Highway 240 and Ribbon Ridge Road. Then when the district centralized their schools, the children were transferred to Ewing Young School. The building stood abandoned for 40 years. 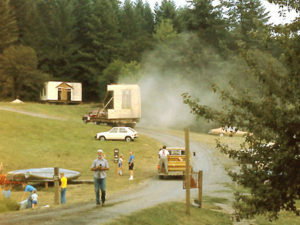 In 1971, Tilikum began across the valley from the old school. Gary Fawver, first Executive Director, remembers going past the school for years as he drove to and from Newberg. Each year the roof, porch, and bell tower sagged a bit more. Fawver imagined that if the school could be restored, it could be a salute to all one-room schoolhouses. The school could capture a bit of the mystique of “rural America”—the small family farm, country roads, friendly neighbors. In the mid 1980’s Bruce and Dale Patton donated the school to Tilikum. 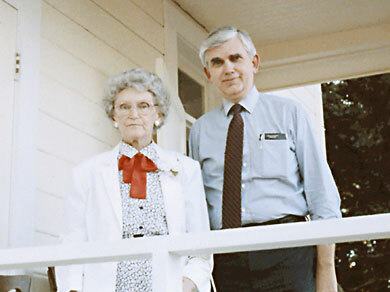 Their father, Fred Patton, was superintendent of McMinnville schools from 1950 to 1969 and had owned the property. In July of 1985 a “Friends of Valley View School” committee was formed to raise money for moving and restoring the school. Paula Benham, whose grandfather Ferris Strait was the school’s first teacher, served as a key committee person. 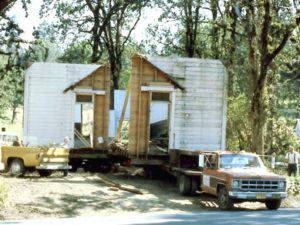 Under the direction of Tilikum staff member Arnie Mitchell and with the help of the “Friends” committee and many volunteers, the schoolhouse was disassembled, cut into four pieces, and hauled the two miles to Tilikum on flatbed trailers. 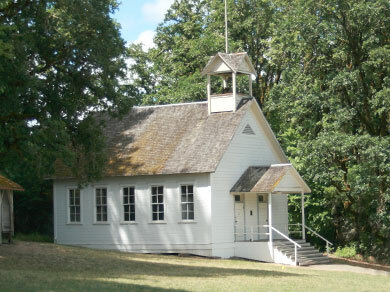 The building was carefully restored on the hill overlooking Tilikum’s lake; period items including a school bell, school desks, books, a globe, and 48 star flag enhanced the old-fashioned feel of the school. Up the entrance to Tilikum. Re-assembling the sections in place. On July 6, 1989, Valley View School was rededicated with many neighbors, former pupils and teachers attending. More than 200 people gathered outside the school enjoying Sousa marches played by the Newberg Community Summer Band. Anecdotes from Mae Waide’s experiences as a former teacher at the school and comments by Paula Benham received applause. In an upbeat address, featured speaker Verne Duncan, Oregon superintendent of public instruction, suggested that “community,” togetherness, connectedness—the very elements he sensed during the evening’s rededication—were the outstanding features of one-room community schools. Duncan’s grandfather, S.S. Duncan, was superintendent of Yamhill County schools during the first 20 years of Valley View’s existence. Below is short video of the dedication ceremony. We have scanned and made available the original Valley View School records (grades, courses, parents, costs) from 1909 to 1941. Some of the files are large and take a while to download, but they are worth the wait. If you know anyone who attended the school during those years, these documents can be very interesting.